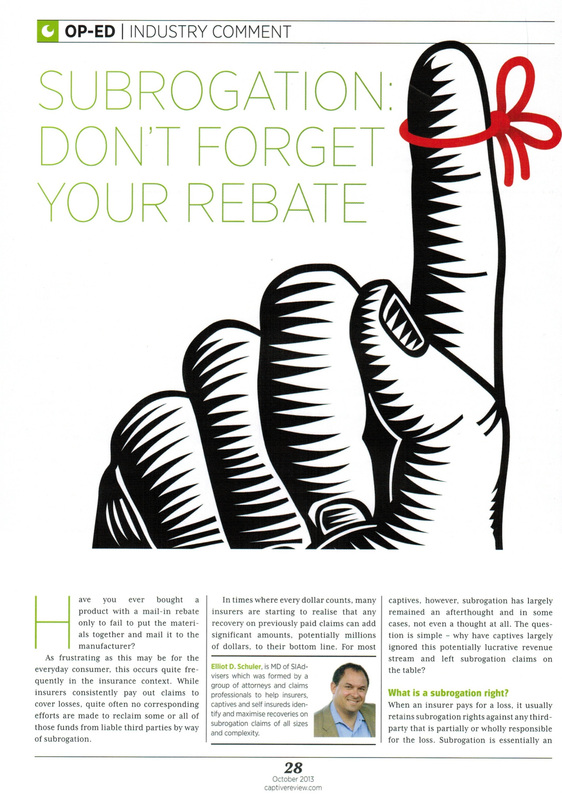 North American Subrogation Co-Founder and Head of Claims, Elliot Schuler, authored article titled “Subrogation: Don’t Forget Your Rebate” featured in global insurance magazine Captive Review. The article emphasized that the failure to pursue subrogation often results in increased insurance premiums for the policyholder, higher loss ratios, and thus impacts everyone’s bottom line. It provided ways to help ensure all subrogation avenues are pursued. NORTH AMERICAN SUBROGATION – SUBROSMART.